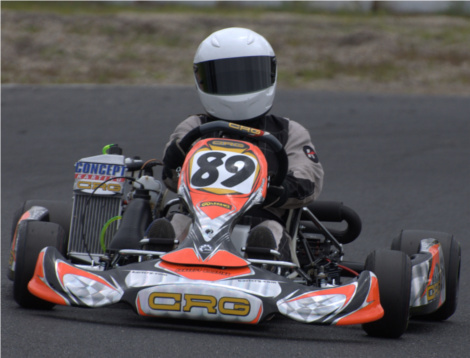 Jake Dixon started his 2012 Formula JMA campaign by moving to a new CRG chassis. In testing the chassis proved to be very fast indeed. He tested the chassis at some 10 different race tracks, both in Victoria and interstate, where he managed to easily break each track’s lap record. Jake has now proven how fast this chassis is and how his level of confidence has grown since making the change. Starting in P4 on the grid for the final Jake caught and passed the opposition then, quite comfortably, went on to win the event. All product names, company names, logos, or pictures shown herein are the trademarks, registered trademarks or copyright of their respective owners. All prices shown are inclusive of GST.